It was my friend’s birthday and I decided I would like to make her a cake. 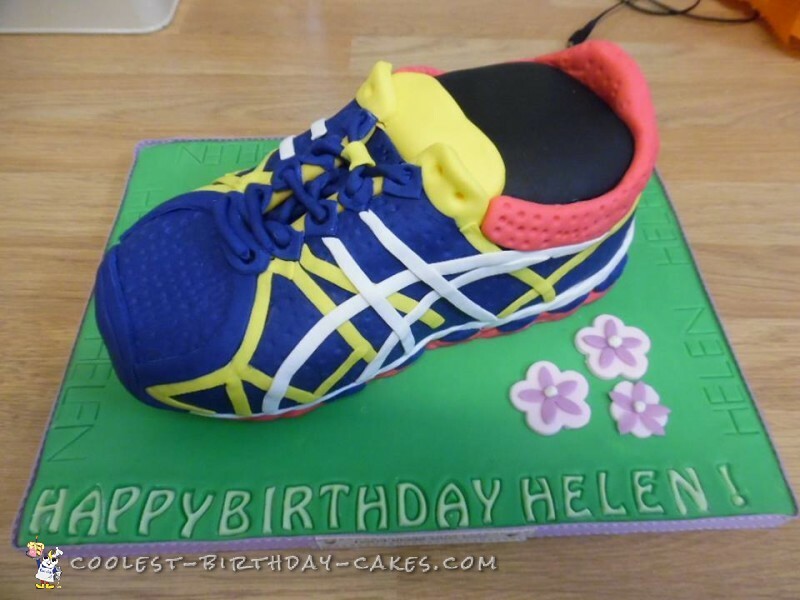 She has lots of interests but the thing she is absolutely mad about is running, so what better than to make her a cake of her running shoe. Unfortunately for me she must have the most complicated shoes ever! Still I managed it and she was very please.